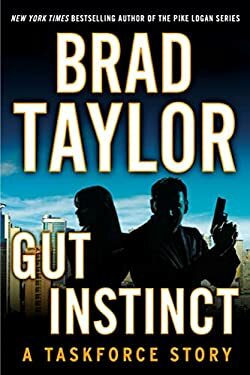 Retired Delta Force officer Brad Taylor delivers an action-packed short story that sets Pike Logan’s partner, Jennifer Cahill, against a fellow Taskforce operator in a mission that will put their authority, careers, and innocent lives on the line. Fresh off of a brutal mission with the Taskforce—a top-secret counter-terrorist unit that operates outside the bounds of U.S. law—Pike Logan and Jennifer Cahill are still dealing with its aftereffects. With his injuries on the mend, Pike is forced to let Jennifer take the lead when another Taskforce team asks for her help. But when her stint spying on two women suspected of involvement in a terrorist plot leads her in another direction, the team leader won’t take her seriously. Butting heads with him costs them credibility, but Jennifer won’t let it go. Determined to uncover the true target, Pike must trust Jennifer’s instincts more than ever. Being wrong means risking their reputations and future with the Taskforce, but being right means averting a threat that nobody else can see. A threat that may be bigger than they can handle.